DoNotSpy 10 makes changes in registry file of os so Restart system to save the changes. DoNotSpy is developed by German Developer which allow users to disable and fix windows 10 privcay is issue in single click.It allow to adjust all the privacy setting in one click and also help user to bypass the various feature setting . Your Antivirus product could find this tool malicious in nature as a result of it will modify Windows settings. 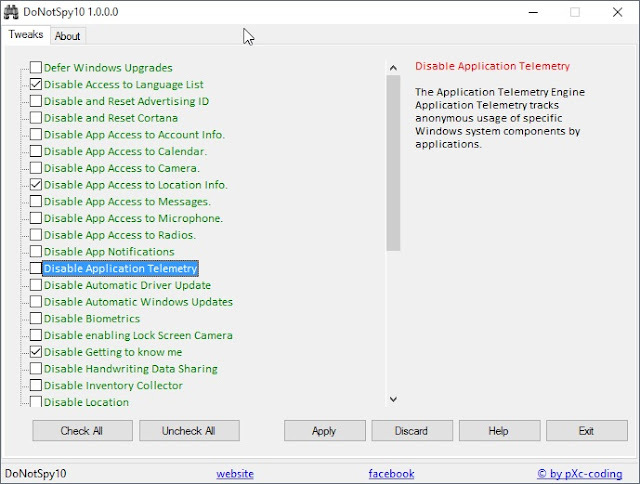 However, developer of the tool is additionally using a commercial campaign inside the computer code thus it might even be detected as an Adware, or Pup (potentially unwanted program). Technically, the program isn't a malware and you'll be able to uninstall it once to repair Windows ten privacy problems.